Visit Cottesloe Beach and Scarborough Beach for some beach relaxation. 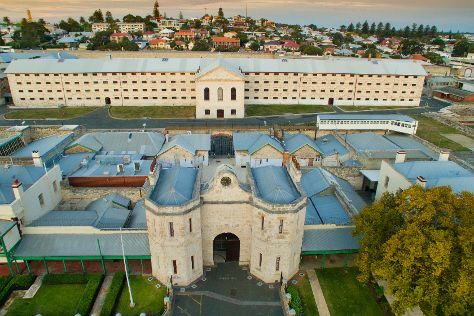 Do some cultural sightseeing at Fremantle Prison and St Patrick's Basilica. Explore Perth's surroundings by going to Mandurah Cruises (in Mandurah), Caversham Wildlife Park (in Whiteman) and Penguin Island (in Rockingham). There's lots more to do: contemplate the waterfront views at Swan River, meet the residents at Perth Zoo, have some family-friendly fun at Elizabeth Quay Carousel, and take in nature's colorful creations at Kings Park & Botanic Garden. To see maps, ratings, photos, and other tourist information, go to the Perth trip itinerary builder . If you are flying in from United Kingdom, the closest major airport is Perth International Airport. Expect a daytime high around 34°C in March, and nighttime lows around 19°C. Finish your sightseeing early on the 29th (Fri) so you can travel back home.